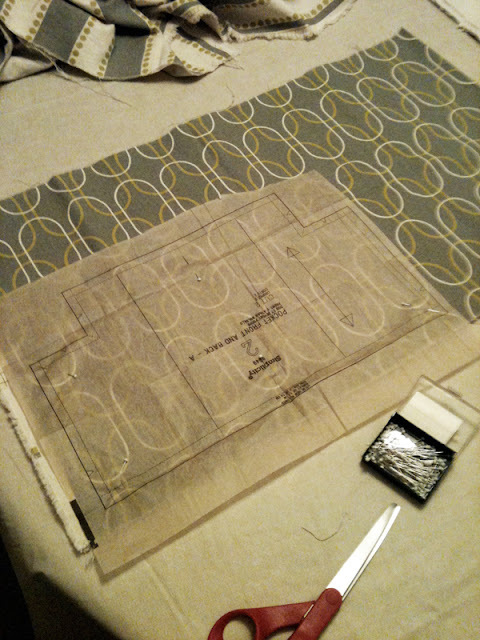 C.Jane.Do: Sewing Class:: Loving it so far! 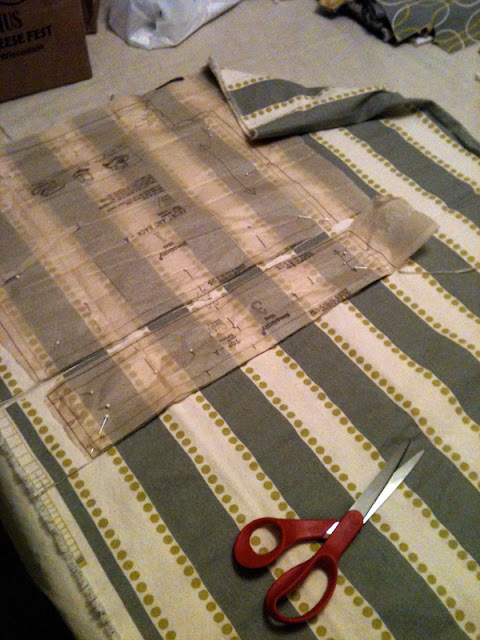 So far I've had two sewing classes and have already learned tons. The first session was a review of materials and the different 'notions' that sewing brings. Between my sewing and sailing class, there is a whole new world of vocabulary that I have never know to be! It is definitely quite a challenge for me, though. Memorization is one thing that I have always struggled with. Typically my solution is flash-cards since I learn so much better visually, but so far I've not yet done that. We will see if I can still retain all this new lingo! 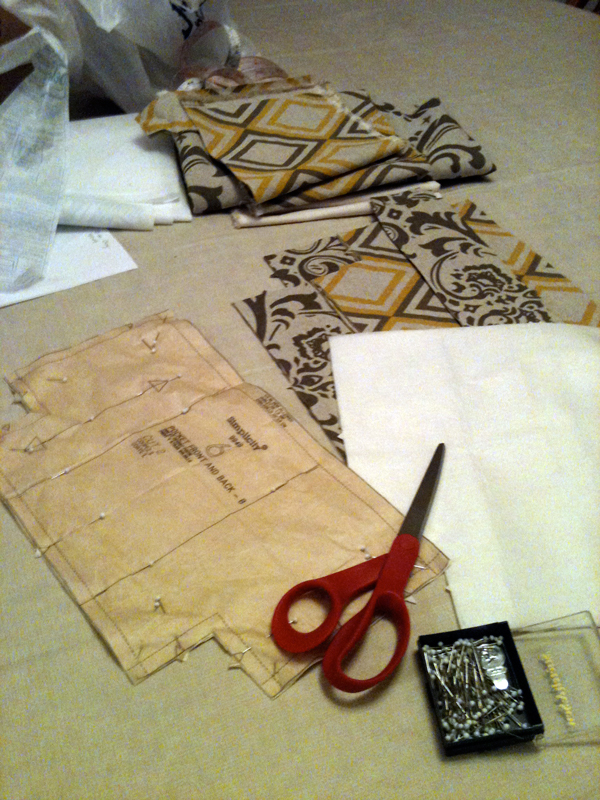 I am loving the fabrics I chose! The 2nd class brought actually cutting out of the patterns, fabric and interlining material. I was pretty slow to start in class, but once I got the hang of it I was rolling! Each of these bags are a little different in size. The yellow and brown one is the small, while the green and grey (I'm calling this one my mouse bag since the outline pattern looks like a bunch of Apple Mac Mice) is the medium size. I bet you're wondering, "Where did you get your fabric?" Props to this awesome shop I found right by my house. The Sewcial Lounge is a place I know I'll go back to once I get this sewing thing down. While they don't have a ton to choose from, it's definitely quality over quantity when you choose to go here. Plus, I love supporting the local businesses! Here is the bag that I have started in my class. 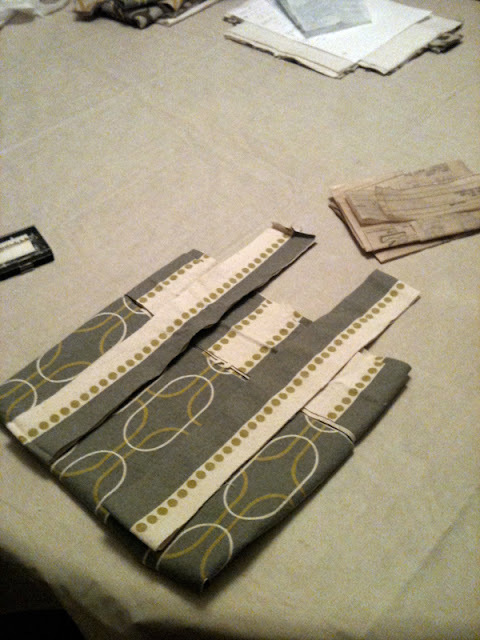 When I got home, I continued working on THIS bag, which hopefully will help me learn more on my machine. Finally, I'm learning to follow a pattern! I'm so excited for the options that this will bring!